Aim: The aim of the article is conceptualization of product model basing on use functions. Design / Research methods: Literature analysis and model concept identification , theoretic model formulation. Conclusions / findings: New product development processes based on innovation are still the most important challenge for companies. This process should link company decisions on strategic and operational levels. Classical approaches show their insufficiencies particularly when a company introduces a technology innovation based on a new product. The risks accompanying this type of development and the growing involvement of the customer in innovation commercialization could however provide sufficient reason for developing a new approach to product structure and lifecycle evolution. Hence the proposed new product structure based on the determination of use functions. Originality / value of the article: technical debt as innovativeness parameter, concept of quantitative model of new technology based product. Keywords: NPD, Product structure, use function, customer value, innovativeness, technical debt. Aim: This paper presents an analysis of the benefits to be gained by using the achievements of modern technologies by local self-government bodies, which is crucial considering that the number of public tasks has kept on increasing with ever newer areas needing to be managed. The aim of the paper is to outline the tools of civil (public) participation, in particular those which use electronic media as an avenue for individuals to participate in local public affairs, to reduce administration costs, as well as to show risks relating to the exclusion of some social groups from the decision-making process thus organized. Design/research method: The paper was developed using the method of dogmatic legal analysis, also including the elements of comparative approach which would allow for making references to how these mechanisms operate in other countries. Conclusions/ findings: The use of the tools for e-public participation activates some social groups, allowing for reaching a wide circle of recipients, reducing the costs of administration while raising its quality. However, it should be complemented by traditional consultations, ensuring comprehensive gathering of information from people interested in the issues pertinent to a particular community. Originality/value of the paper: The subject of the paper, given a relatively short history of public participation drawing on electronic media, has so far failed to be described extensively by the doctrine of law and administration. In the author’s view, the paper can trigger further academic exploration focusing on the tools of effective administration. Implications of the research: The paper may have an impact on the practice of local self-government units, heightening interests in the tools of public participation and the scope of their application. Key words: public administration, public participation, local community, public consultations, electronic media. Aim: The paper presents an analysis of the procedure involved in the legal situation pertaining to placing a commune’s resident in a social welfare home. The aim of the paper is to analyze two key issues – firstly, who is the party to the proceedings for placement of the commune’s resident in a social welfare home; secondly, the analysis of the aspect concerned with the proceedings for payment for the resident’s stay in such facility. Research method: The principal research method applied in the paper is the method of interpreting applicable legal norms. Findings: The analysis conducted in the paper allowed one to ascertain that the party to the proceedings for determining the payment for care and accommodation in a social welfare home is the person required to participate in these costs, and as such, these are, apart from the commune’s resident, the spouse, relatives in the ascending or descending line and the commune from which the person was referred to the social welfare home. Originality/value of the paper: Despite being of utmost importance, both in practical and theoretical terms, the set of issues addressed in the paper has so far failed to become a focus of extensive research. The studies conducted are valid from the practical and theoretical point of view, in particular, in the light of the EU aging population. Research implications: The paper may prove to be of considerable relevance for public administration bodies, as well as the decision-making practice of administrative courts. Key words: social welfare home, public administration, commune’s direct responsibilities, a party to administrative proceedings. Aim: The accounting of local self-government units in its current state does not correspond to the requirements of modern management in the public sector. The paper shows the specific features of budgetary accounting of local self-government units, its basic problems and its future solutions related to the new challenges faced by LGU management, e.g. 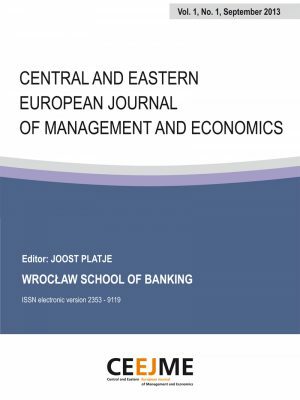 : shifting away from the dominance of the cash accounting method under the EU budgetary accounting standardization, securing consistency and comparability of budget reporting, increasing the effectiveness of supervision and control in budgetary accounting and the development of activity-based accounting. Research methods: In the paper, the following research methods were applied: a review of literature concerned with budgetary accounting and public finance, an analysis of legal acts, comparative and descriptive analyses. Findings: In its present state the LGU accounting system is not efficient and it will fail to be a suitable source of information for modern management of public sector entities unless the cash principle is supplanted by the accrual principle, as part of the implementation of EPSAS, and budget reporting is properly harmonized, simplified and unified. In order to provide the necessary information for the implementation of activity-based budgeting in LGUs, one needs to combine skillfully the methods and techniques derived from ABC and management accounting, which will allow task-based accounting to search for and apply various solutions in accounting records. Originality / value of the paper: This paper summarizes the most up-to-date accounting problems faced by LGUs while showing both theoretical and practical ways of solving them. In the author’s opinion, this work can be a useful tool for accounting practitioners and a contribution to further academic exploration. Research implications: The paper can have a significant impact on the practice of budget accounting in local self-government units in Poland. Keywords: accounting, finance, reporting, local self-government unit, public sector. Aim: The paper seeks to assess management in one of Poland’s largest cities using as an example the level of citizenship and the implementation of the budgets adopted. Research methods: The comparative method and statistical analysis were applied allowing for analyzing voter turnout in the cities discussed. Findings: Among the cities, Wrocław and Cracow proved to be ones whose management was most effective, also enjoying a high level of citizenship. Łódź is a municipality which continued to have a budget deficit over the period analyzed, while the changes referring to the city president post led to destabilization of its budget. Originality: The paper compares the crucial, for Poland’s largest cities, ability to govern a municipality, it explores the possibility of exercising executive power while facing unfavorable resolution-making power, and it compares the changing level of public confidence in the city stewards. Key words: civic society, budget, voter turnout, Municipality Council, management. JEL: M38, O15, P16, R58, Z18. Aim: presentation of changes in local governments debt and costs of its service in 2011-2015 and presentation of the dilemma faced by local authorities regarding the approach to the problem of debt and budget balance. So far, no analysis of these issues in the way presented below. The main thesis of the paper is that the actions taken in 2011-2015 by local authorities have led to stifling the increase in the total amount of communal debts nationwide, without, however, reducing the prevalence of indebtedness among communes. Design methods / research: analysis of legal acts and financial data, statistical data and indicators used in the measurement of local debt, their volatility and trends based on information on the implementation of budgets of local government units obtained from the Ministry of Finance. On their basis, data were collected on the financial results of communes and the level of deficit and debt in 2011-2015, against the background of the country’s macroeconomic situation at that time. Conclusions: They confirm the main thesis of the work indicated for research, that despite the slowdown in the growth of the total debt of local authorities on the national scale in 2011-2015, the popularity of indebtedness among communes has not been reduced. Despite the modification of the system of limitations in the indebtedness of municipalities, which was supposed to favor the reduction of the rate of debt growth, there was no improvement in the financial situation of the most indebted entities. Their number in five years paradoxically began to grow, instead of falling. Limitations of research: it was difficult to thoroughly analyze the current debt situation of each municipality separately, which would require much more time as well as in-depth micro-scale research. Key words: budget deficit, structural balance, public debt, individual debt ratio, debt servicing costs. Aim: The paper seeks to answer the question: Is a sustainable city realistic in the present conditions of the political, economic and social context? The answer is not so obvious in that the main barriers to attaining sustainable development of cities are of civilisational nature. The attainment of prosperity has become the dominant purpose in every society and region, regardless of the already obtained level of affluence, or the cultural and political traditions. Research methods: The paper uses the following research methods: analysis of information sources and participant observation. Originality of the article: In the social discourse, the notion of a sustainable city raises controversy because it often stands in contradiction to the vision of convenience and comfort of human existence. Admittedly, this is not a vision of an average resident of the contemporary city; however, it is a vision of people whose decisions create business policies and define its rules and priorities. As a result, these decisions greatly affect the image of a city and the models of its residents’ lives. The subject of the paper is valid and has not been explored within a broader research analysis. Implications of research: In conclusion, the author states that the territories seek social responsibility, but the effectiveness of these aspirations is diverse and multifactorial. The paper can have a considerable impact on the authorities and local communities. Key words: city, sustainable development, urbanization. Aim: the aim of the paper is to explore the importance of the type of accounting books for the finances of enterprises. Drawing on the financial data, the differences are shown in the amount of income tax to be paid applying various forms of taxation. Considering the fact that economic entities seek to optimize the level of tax payments, what becomes a priority is the choice of the taxation form from those provided for under the provisions of the Polish tax law. Research methods: In the paper, the Polish tax law was analyzed in terms of personal and corporate income tax and the Accounting Act. The analysis was also carried out concerning the financial results of enterprise in the context of the available options of tax records. Findings/conclusions: Bearing in mind that the financial decisions should be as advantageous as possible from the entrepreneur ‘s point of view, the decision on the form of income tax declaration is crucial. An in-depth analysis allows for making an optimal decision. Attention should be drawn to the fact that employing the method involving a lower income tax rate while applying the statutory principles of accounting does not ultimately mean that less tax will be paid than while applying the provisions pertaining to the method which imposes a higher income tax rate on the tax payer. Originality/value of the paper: The comparison of the results of the analysis provides information for entrepreneurs on what differences in the amount of income tax occur depending on different forms of tax records. The findings focus on the need to make a careful choice of the taxation method while taking into account all the aspects including the tax amount and accounting service costs, in particular with respect to entrepreneurs applying simplified accounting. The theoretical part of the paper delineating the rules on income tax declaration may also provide the answer as to which method is the most suitable for a particular undertaking. Key words: income tax, accounting, revenues, costs, financial result, bank. 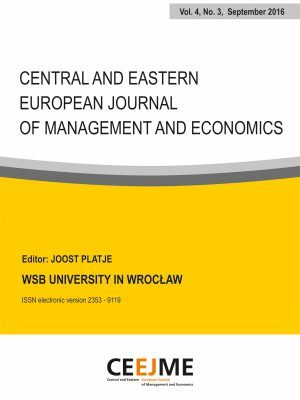 Aim: this paper outlines and evaluates– on the basis of selected statistical indicators –the changes in the level of innovation among Polish enterprises over the period of 2008 -2016, with innovation representing one of the main sources of competitive advantage. 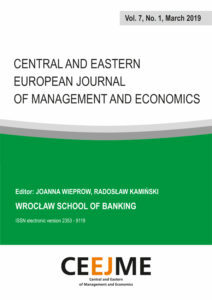 Research method: in this paper, a theoretical study of the issues is conducted, using literature research as one of the research methods, while the elementary methods of descriptive statistics were employed in the analysis of the innovation dynamics of Polish undertakings over the period 2008-2016. Conclusions/findings: the analysis shows a low level of innovation and a low rate of its growth on a nationwide scale. Originality/value of the paper: in the author’s view, the paper can be used by entrepreneurs who wish to implement innovative solutions in their companies, as well as by the government, since it identifies the shortcomings of the cohesive innovation policy. The paper also shows how to make the pro-innovation policy more attractive. Research implications: the paper may contribute to increased innovation in Polish enterprises. Key words: innovation, economic competitiveness, innovation policy.